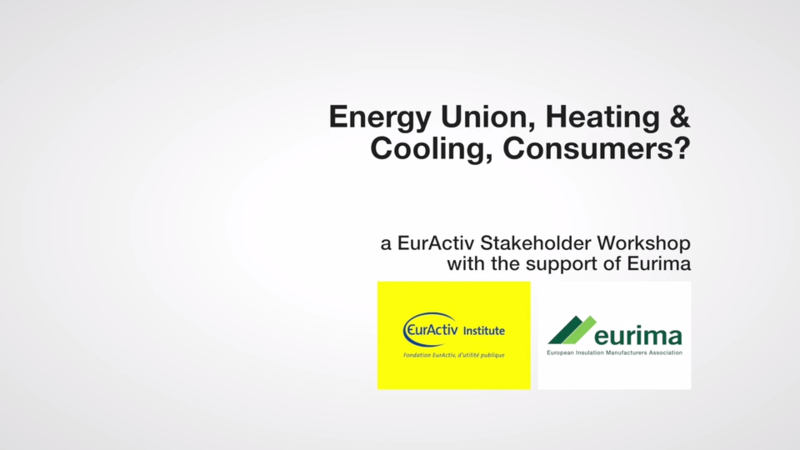 Energy Union, Heating & Cooling, Consumers? Around 40% of energy used in the EU is consumed in buildings, of which 80% is used for heating and cooling. EuroACE, the European Alliance of Companies for Energy Efficiency in Buildings, represents fourteen European leading companies involved with the manufacture, the distribution and installation of a variety of energy saving goods and services. The EuroACE member companies employ over 300 000 people and have over 770 production facilities and office locations in the EU. 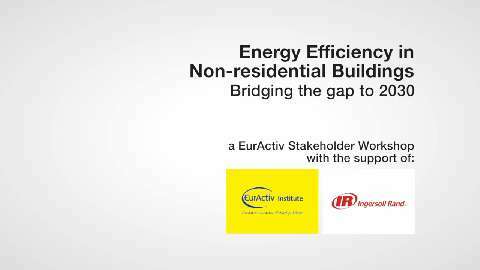 EuroACE works together with the European institutions to help Europe move towards an efficient use of energy in buildings, thereby contributing to the EU's commitments on carbon emissions reductions, job creation and energy security. The Energy Efficiency Communication, released by the European Commission earlier this year, proposed a new energy efficiency target of 30% for 2030, a figure that has caused some debate among stakeholders. EU Member States have already signed up to a voluntary objective of reducing the EU's primary energy use by 20% by 2020, measured against 2005 levels. 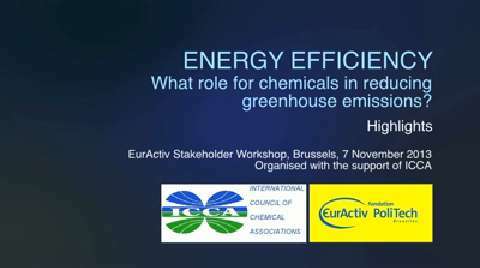 Energy efficiency: what role for chemicals in reducing greenhouse emissions? The buildings sector is one of the largest contributors to global greenhouse gas emissions. 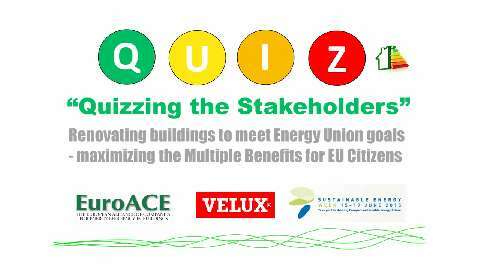 Moreover, buildings account for about 40% of the total amount of energy consumption in the EU. The European Commission acknowledged this in its Energy Efficiency Directive stating that “the greatest energy savings potential lies in buildings”. The chemicals sector has already significantly reduced its emissions, but there is still potential to reduce them further.